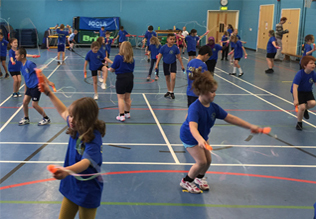 Skip2Bfit Community Events are a fantastic fun activity for your event to get people involved and active. 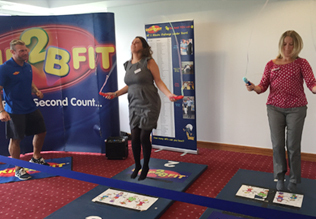 We have attended several events offering people the opportunity to take part in our 2 minute Skip2Bfit Challenge. 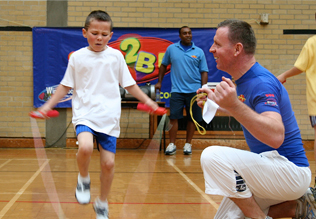 All the equipment provided by Skip2Bfit including mats to skip on if people do not have trainers on. Fresh blueberries available to hand out, in the UK. 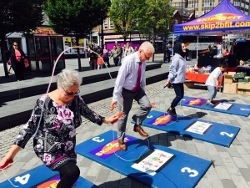 A Fun competition on the day seeing who can do the most skips in 2 minutes with prizes for the top skippers. People who take part often realise how unfit they have become and this pushes them into doing something about their fitness. We charge £800 + VAT for a one day event. For more information please get in contact today.